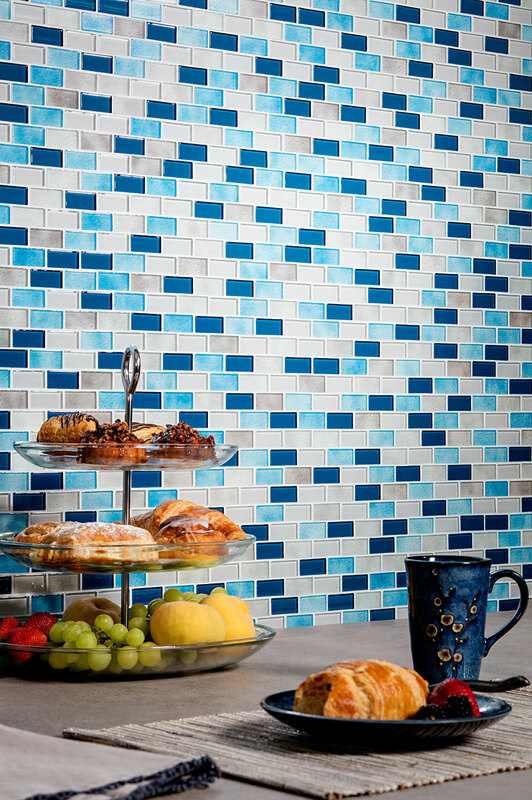 Tides by Murrine Mosaics offers design versatility that is as fluid as the waters they are named after. Combining translucent colored glass with textural elements from the Quartz collection, the appearance evokes coastal waters and effervescence. The colorful blends, inspired by ocean, air and earth, offer bold pops of color and personality to any space. 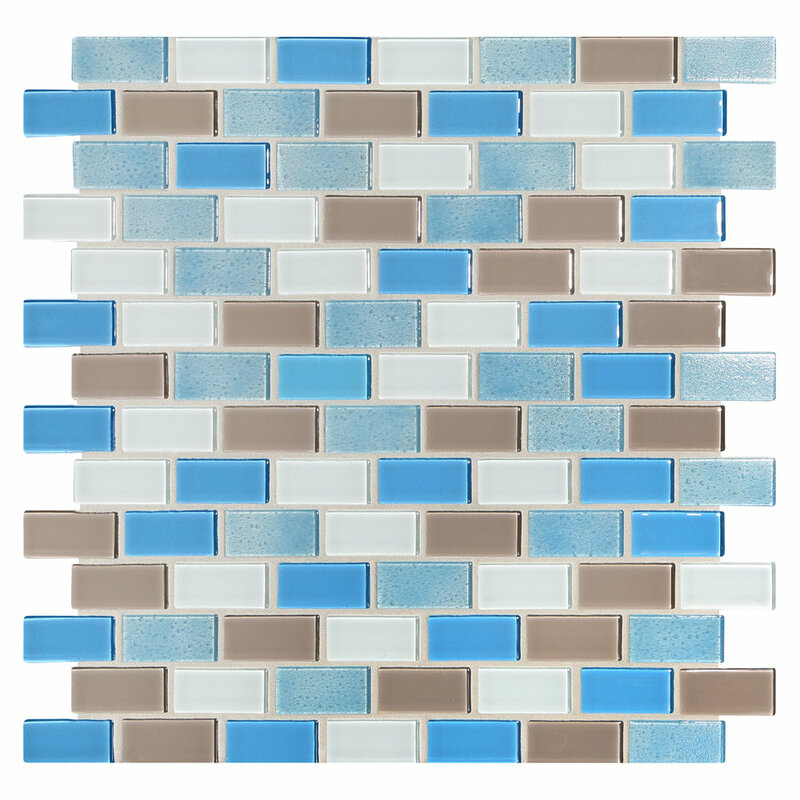 Tides is offered in eight different colorways and two different sizes: 3/4” x 3/4” Offset and 3/4” x 1-5/8" Brick.